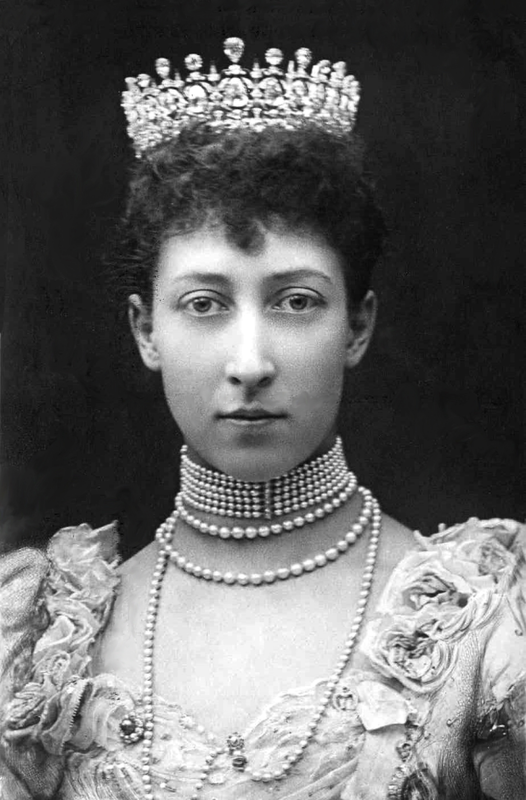 Breaking tiara news today: the Fife Tiara, one of the most glittering, classic nineteenth-century tiaras still extant today, officially has a new address! The Arts Council England has just published its report on a pair of government programs designed to allow important works of art to transfer into public ownership, and the Fife Tiara is listed among the culturally-significant items that now belong to the British people. A panel of experts recommended that the tiara be accepted by the government in lieu of tax. For taxation purposes, the tiara was valued at 1.4 million pounds. The piece includes nearly 200 total carats of diamonds. 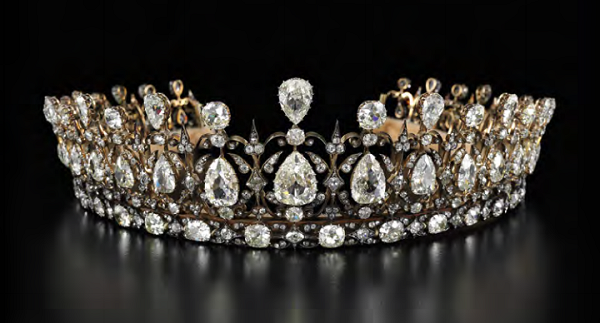 The report provides some of the reasons that the panel decided to accept the tiara as a culturally-significant artifact: "The tiara is of extraordinary beauty and given the huge carat weight of diamonds and the importance of the largest pear-shaped stones, it is a miracle that such a jewel has been preserved in its original form." But the best part of all? The offer to the government was conditional. Part of the agreement states that the tiara "has been permanently allocated to Historic Royal Palaces for retention and display at Kensington Palace in accordance with the condition attached to the offer." We may not see the Fife Tiara worn again, but we will be able to see it in person in a royal context -- and that's almost as good!